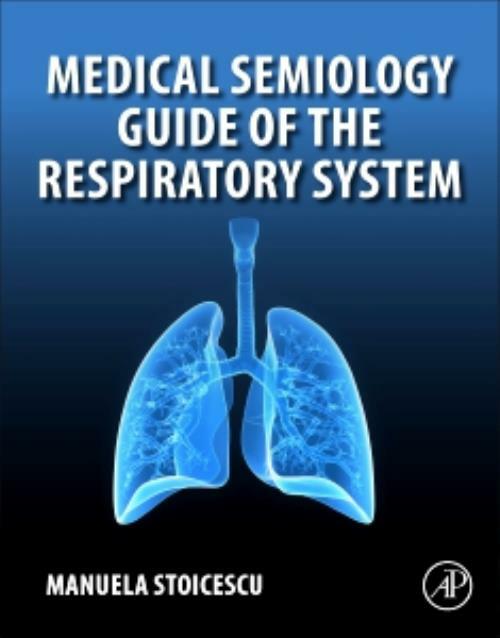 Medical Semiology Guide of the Respiratory System provides a comprehensive understanding of medical semiology to facilitate the learning process and stimulate medical thinking in respiratory medicine. Highly illustrated, with many original images from the author's daily medical practice, the book highlights all signs of diseases and important semiological maneuvers. Each chapter incorporates a specific questionnaire with important questions that need to be addressed in different situations to obtain valuable information to help in medical thinking and in the formulation of a diagnosis. Dr. Manuela Stoicescu is a Consultant Internal Medicine Doctor and Assistant Professor of the Medical Disciplines Department in the University of Oradea in Romania. She is Member of Romanian Society of Internal Medicine, Member of Romanian Society of Cardiology, Chemistry, Biochemistry and Member of the Balcanic Society of Medicine. She has been an invited speaker at 24 International Conferences, is an editorial board member for three ISSN Journals in the US and published four books in both English and Romanian.